Celebrities deployed to Cape Town’s township streets to drum up support for the ANC got more than they bargained for this week when disgruntled residents took them to task for problems of unemployment, crime and lack of housing. 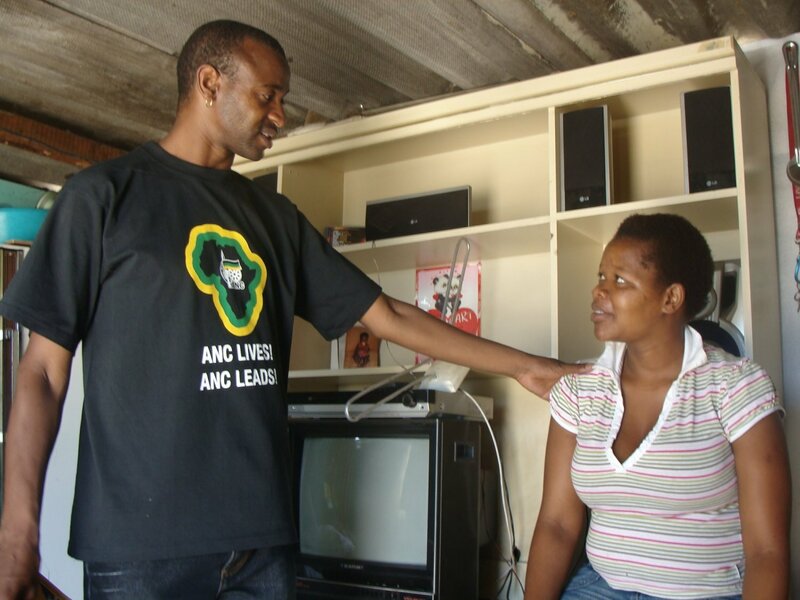 Although Kwaito stars Arthur Mafokate, Chommie and long-ago soccer star Phil Masinga found widespread ANC support, they also found residents who failed to even recognise them and others who asked tough questions about the state of South Africa’s ruling party. Sxinti was one of hundreds of residents of Delft and Mfuleni, impoverished townships about 40 kilometres from Cape Town’s centre, who came face to face with the world of showbiz. The ANC has denied that the celebrities are being paid for their time and the celebrities insist they are volunteering for the party. However, the ANC has admitted to paying accommodation fees. The celebrities have been staying at the Southern Sun Hotel in Cape Town, which costs R1,568 a night. The door-to-door drive came as the last Independent Electoral Commission (IEC) registration push was held this weekend. Political pundits also predict that the ANC faces a tough battle if it hopes to retain the provincial leadership of the Western Cape, where the party has been fractured by brutal leadership squabbles. Mafokate said he had been an ANC member since Nelson Mandela got out of prison in 1990 and had worked on previous election campaigns. “We were talking to people who are already with us asking them what can be done to improve the party,” he said. He said the celebrities were not “forcing” people to vote for the ANC and that people could support whichever party they chose. Likewise, celebrities could also support parties of their choice. He gave the example of global rap star Wyclef Jean, who went public with his support of Barrack Obama. ANC NEC member Nomvula Mokonyane said the celebrities had offered their help to the party voluntarily. She said the celebrities were targetting the youth “because they speak the same language. They understand each other”. Gallo Music South Africa Marketing Manager Tsholo Maroba said it was the choice of artists whether or not to campaign for political parties. But there was always a risk that artists had to “calculate carefully” when placing their support. If their choice was not the same as the fans it might impact negatively on sales, but at the same time the quality of the work would also be a deciding factor when it came to fan base.